Everyday Looper 1.6 is out ! Update time guys (and a temporary 50% off for those who don’t have the app yet) ! Restore the previous version of a track modified by recording, erasing or merging. Send individual tracks or mixes of your loops, in AAC or WAV format, by email. Menu and icon updated to match iOS 7 and 8 look. - Instant mute by tapping on the left side of a track. - 4 beats count-in for click track based loops by repeating the stop gesture two times. - AudioCopy SDK updated to version 2. Last note : don’t forget that you can reach me on Twitter (@MancingDols) or on Facebook (Everyday Looper). Hope you will enjoy the update ! Everyday Looper 1.5 : What’s new ? You can now pan your tracks. Compatible devices : iPhone 3GS, iPod Touch 3G, iPad 1 and newer. Record, Play/Pause and Stop can be triggered by a MIDI controller through Core MIDI. Record channel 1 or 2, both simultaneously or as a stereo source. Require an audio device that provides 2 input channels such as the Alesis iO Dock. - Restart your loop instead of stopping it with the 3 fingers tap gesture. - Quantize mute a recording track to silence it when the recording stops. - Short fade in / out of the recording for seamless loops. For more details about how to use these features, check the How To post below or take a look at the documentation. And don’t forget that you can reach me on Twitter (@MancingDols) or on Facebook (Everyday Looper). If you have a 2 input channels audio device connected to your iDevice, you can configure if these channels are L and R for stereo (1 x Stereo) or 2 independent mono channels (2 x Mono). The setting is in Menu -> Options -> Inputs Configuration. If you choose the 2 x Mono option, EDL will record channel 1 by default. You can record channel 1 and channel 2 at the same time on 2 adjacent tracks by sliding one finger from track X to track X+1. You can record on channel 2 only by sliding from track X to track X+1 then back from track X+1 to track X without pulling your finger off the screen. A highly recommended device that provide 2 input channels on an iPad is the Alesis iO Dock, but you can also use a class compliant USB audio interface connected through the Camera Connection Kit. You can plug an USB-MIDI interface or an USB-MIDI footswitch like the Logidy UMI3 in an iPad through a Camera Connection Kit, or use the integrated footswitch input of an Alesis iO Dock. You should be able to update right now ! 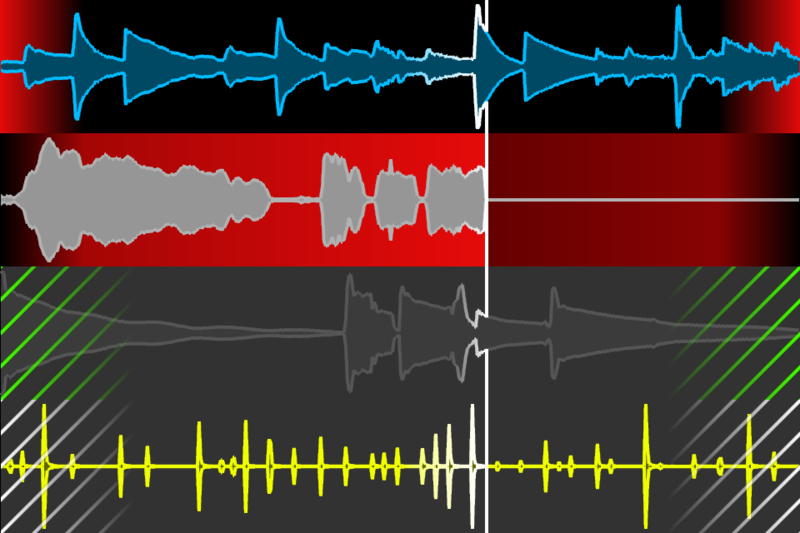 You can now choose your recording mode between Overdub and Replace (the previous behavior). 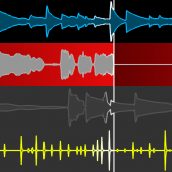 A chain of tracks can now be set as “quantized recording”. If recording your first track from an empty loop, tapping an another one will set the loop length and start recording from beginning. And don’t forget that you can reach me on Twitter (@MancingDols) and “like” EDL on Facebook (Everyday Looper). It’s live on the App Store ! 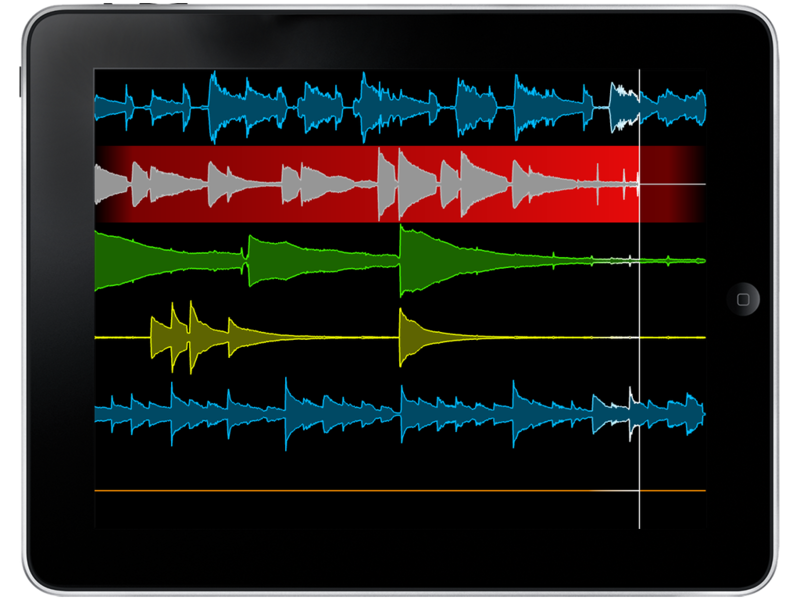 It brings fullscreen support and 2 additional tracks – 6 in total – to the iPad. Reggie Watts improvising with Everyday Looper on the radio ! … has been approved by Apple ! You will not have any excuse for being offbeat anymore. Precision is under the millisecond. You can copy from and paste to Everyday Looper. 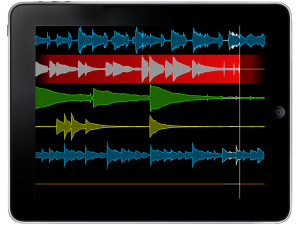 Nice for making a beat in Beatmaker (or hopefully soon NanoStudio) and layering tracks over it in Everyday Looper for example. More powerful that it seems at first glance because it’s quantizable to loop (as recording is). In the above picture, you can see that Track 3 is muted and will be unmuted on next loop, whereas Track 4 is unmuted and will be muted on next loop. Nice for toggling between a verse track and a chorus track, while keeping your hands free for recording another track at the same time. Everyday Looper will now continue to play in the background, if your device supports it. You can then use another music app for jamming on top of your loop. Fast app switching, retina display support and nicer anti-aliased waveforms come in the compatibility package too. So have fun with these new features, and tell me what you think about them ! It’s time for me to take some (deserved ^^ ?) 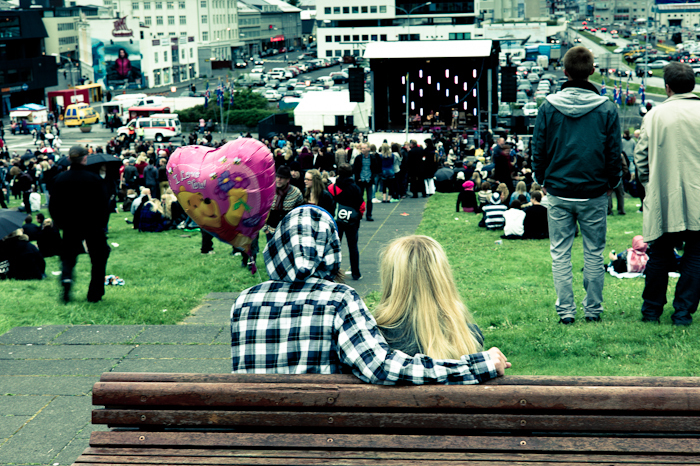 vacations in Iceland . For the next weeks I will be offline, so don’t worry if I don’t answer to your e-mails or your posts on the forum immediately, I’ll handle all of them when I come back in early august. In addition to that there will be support for iOS4 fast switch + background playback and retina display. So I wish you all good vacations if you’ve some planned and see you in a couple of weeks ! 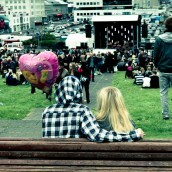 Picture taken from the excellent Sonic Iceland blog. Powered by WordPress and Pyrmont V2.